Last Chance To Rock The Vote! We're already a month into the new year, so it's just about time for our annual fan project contest to wrap up. If you haven't voted yet, there's still time! Lots of fans are out there making a difference in the WC community, so we know it can be hard to just pick one. Here are the nominees again. Vote below! Adm_Maverick's Papercraft Adventures started off with humble beginnings. We initially got to see some cool cardboard hobby ships, but his work grew quite a bit in 2018 to include reproducible miniature models and a tabletop game using these small ships. Dark Sentinel's Art is well known as the best Nephilim showcase in the known universe. It's most prominent in the WCP/SO MUP, but that's not the only project his efforts have helped! DefianceIndustries' Art is also synonymous with the high quality ships in the WCP/SO MUP, but that's just the beginning. His gorgeous ships also grace the fleets of multiple major fan projects. Flat Universe had a big year with new releases that contained multiple new ships like the Banshee and Talon, new graphical effects and multiplayer features. This culminated in an exciting tournament in October. 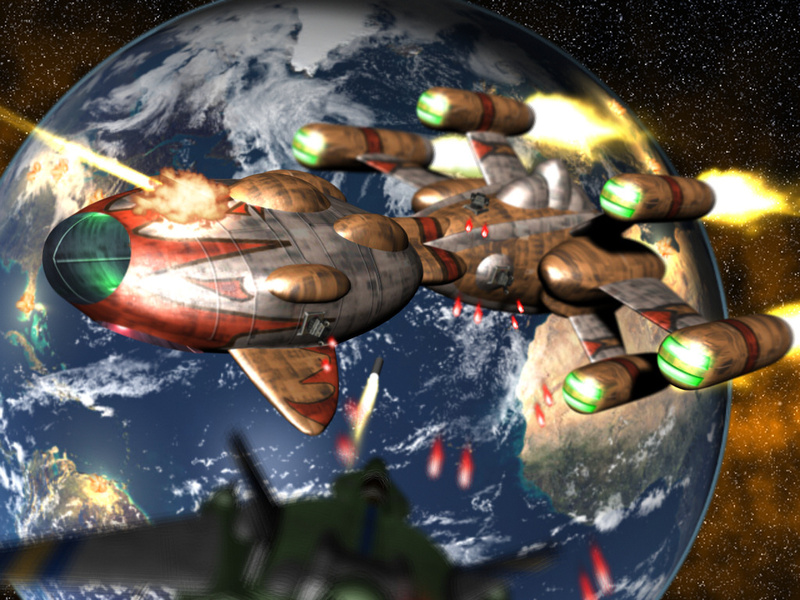 The Homeworld Remastered Mod made the game prettier with new backgrounds, added the Black Lance faction, boosted the AI and added new gameplay mechanics like the Wasp's swarmer missiles. Last Line of Defense had a productive year with quite a few different animation samples being released. It's not often that a project can successfully pivot from something like a playable mod to WC animation, but Deathsnake is using what he's learned to successfully springboard to bigger and better WC undertakings. The Prophecy & Secret Ops Model Upgrade Pack also had a big year. Numerous ships were upgraded and new engine effects were rolled out here as well - everything really pops in version 0.41! Rehsin's WC1 Mods started out as some simple graphical tweaks to our favorite characters. Then Hobbes was added as a playable wingman and finally a special mini-campaign was released! The WC Toolbox expanded from a WC1-centric utility to include preliminary modding support for WC2 and Privateer. It's been a major part of the expanding modding scene for the oldest WC games! The WC1 Sprite Refresh represents even more exciting WC1 potential. Goliath, working with Howard Day & UnnamedCharacter, have pulled off some very exciting ship swap experiments that let fans upgrade the look of some of their favorites. We can't wait to see where this goes in the future!